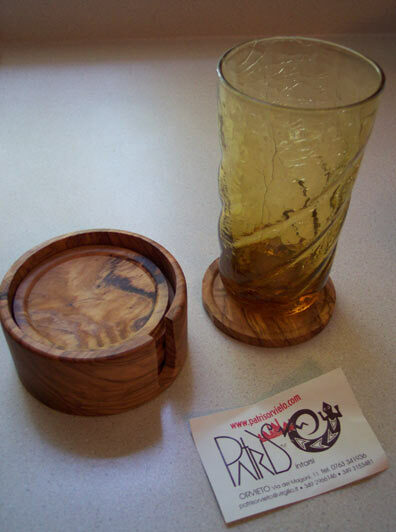 Dani bought some olive wood coasters for Mike, who likes fine wood a lot. 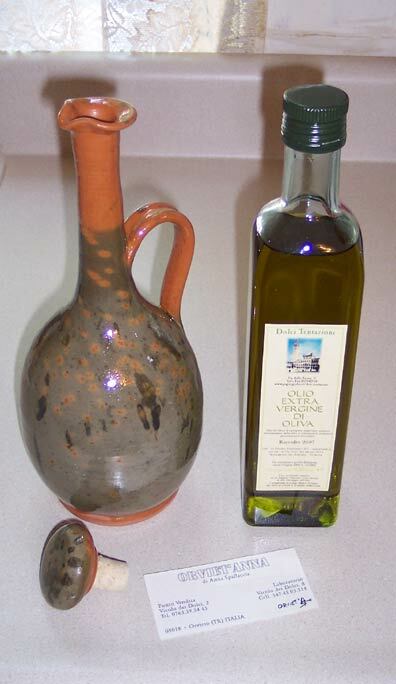 She bought me some really good olive oil (to use in cooking for her, of course! ), so I had to buy a carafe to put it in. Anna is the name of the potter, and her place, Orviet’Anna is well known to residents, but a bit off the tourist main street.